The chapters are easy to read and provide food for thought. 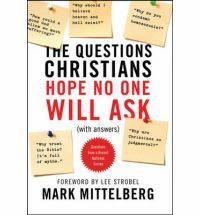 This book can help equip Christians to answer theologically complex questions in a loving way by drawing people to Jesus and Biblical truths. Chapter Two provides a clear explanation of the different beliefs held by Christians regarding creation and evolution. I recommend this book to those seeking Bible based answers to many of the difficult issues facing Christians today. 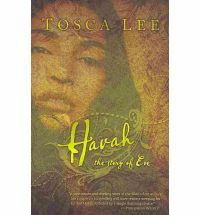 Havah: The Story of Eve by Tosca Lee (B&H Publishing, 2010) is a speculative fiction love story. The early chapters in the book of Genesis outline Adam and Eve’s story. We know the basic plot. Adam and Eve ate the forbidden fruit and were banished from the Garden of Eden. Later on in the story their eldest son, Cain, murdered his younger brother, Abel. The beauty of this book is the way the author has interpreted the events outlined in Genesis and brought these characters to life on the page. The story is a fascinating and thought provoking fictionalised account of what may have transpired during Havah’s lifetime. We look at the world through her eyes, and gain an insight into the life of the first woman and mother of all the living. I was fascinated by the contrast between Adam and Havah’s idyllic and harmonious life in the Garden of Eden and their life in exile as they live with the consequences of their disobedience to ‘The One’. They shared this amazing relationship with ‘The One’ in the Garden that we can only dream about and suffered the pain of silence from ‘The One’ after they sinned and were exiled. The book highlights the consequences of original sin, for Adam and Havah and their descendents. Things we perceive as a normal part of life eg. disease, ageing, death, difficulties with childbirth, nature being out of harmony, were foreign concepts to Adam and Havah until they were exiled into a broken world. Their harmonious and loving relationship drastically changed after they ate the forbidden fruit. I was challenged to question the ideas and concepts raised in the story. Havah faced many problems and issues in her relationships with Adam and her growing family. She knew what life was like before sin entered the world and yearned to return to her former life in the Garden of Eden. Havah and Adam lived with incredible guilt as they and their descendents bore the consequences of their sin in the Garden of Eden. Their guilt put additional pressure on their relationship because they knew what they had lost. This story also contains adult themes that are handled in a tasteful manner, and I give the story a PG rating for children and younger readers. I wouldn’t call this story a romance in the traditional sense because it is the original human love story turned sour. The story explores how Adam and Havah picked up the pieces after their idyllic relationship was shattered. I recommend this book to those looking for an insightful and challenging speculative fiction story. Who is God talking to in Genesis 1? We have a good friend who become a Christian and she asks the BEST questions. She decided to start reading the Bible from the beginning and called me when she reached Genesis 1:26 (NIV). Now, my immediate response is to want to say, “The rest of the Trinity: Jesus and the Holy Spirit”. John 1:1-18 places Jesus at the moment of creation (In the Beginning) and describes all things being made through him. But that isn’t and can not be the whole answer, because the writer of Genesis had no concept of the Trinity. So a full answer must look at the author’s purpose as well as our understanding in light of the revelation of Jesus Christ. Traditionally, both Jews and Christians believe that Genesis through to Deuteronomy, otherwise known as the Law or the Pentateuch, was written by Moses. In John 5:37-40 & 45-46 (NIV) Jesus claims that Moses wrote about him. Moses had a unique education, first as a student in the Egyptian palace and then hearing directly from Yahweh and receiving His laws. The creation account in Genesis 1 and 2 is written not as a mere narrative, but to both stir the hearts of God’s people in reverent awe and to speak strongly against the alternative creation accounts of the surrounding nations-including the very powerful nation of Egypt, from under whose slavery the first intended audience had recently escaped. In his helpful commentary “Salvation Begins: Reading Genesis Today”, Andrew Reid points out that unlike contemporary ancient accounts, in Genesis there is no story of a deity coming into existence, God simply is. God makes matter rather than being made out of it. While the surrounding nations have the sun, moon and stars as powerful deities in their creation myths, in Genesis these are created entities which display God’s power. Humans are not created as an afterthought or a whim, but are the pinnacle of God’s creation, placed in a world designed for their comfort and rule. (Aquila Press 2000, p6) Moses describes the King and Creator announcing his crowning work of creation. God makes two humans in His own image. He makes them intelligent, relational beings and He makes them rulers over the earth. In this original context my NIV Study Bible notes tell me God is speaking as “Creator- King” to the members of His heavenly court, and indeed there are other examples in scripture of God speaking to the angels and including them in His actions. In Genesis 3:22 God laments that man has become “like one of us, knowing good and evil”. The prophet Isaiah saw a vision of Heaven and God speaking to the angels, asking “who will go for us?” (Isaiah 6:8) In the light of New Testament revelation, the doctrine of the Trinity adds a new dimension to this text, showing the involvement of the Son and Holy Spirit from the very beginning. As for the implications of being made in God’s image for the sanctity of human life and believers being conformed to Christ’s likeness (Romans 8:29), those are questions for another day.